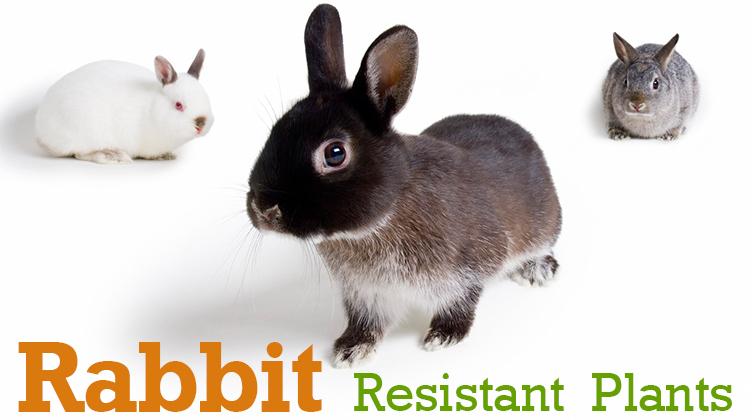 Share the post "How to Keep Rabbits Out of Your Garden – Rabbit-Resistant Plants – Zone 9"
We’ve pulled together a list of rabbit deterrent plants that grow in Orange County USDA Zone 9 that will help keep rabbits out of your yard. From the cute 6-inch-tall rock garden types to the 6-foot-tall giants, alliums are great garden plants. 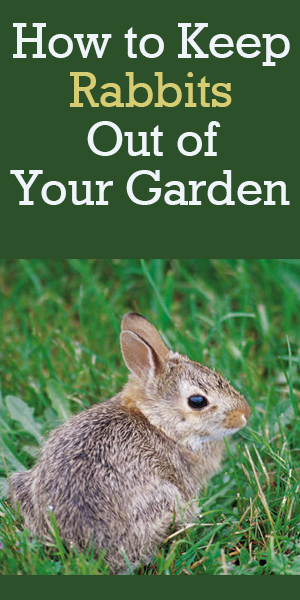 Perfect cut flowers and long-lived garden residents, it’s an added bonus that deer, rabbits, and even squirrels tend to pass them by. An incredibly rugged North American native plant, anise hyssop bears spikes of violet-blue flowers from midsummer to fall. The flowers and the foliage have a decidedly anise scent, hence its common name. One of the toughest plants in the garden, baptisia bears spikes of violet, blue, yellow, or white flowers in early summer. The plants are very heat- and drought-resistant and their blue-green foliage continues to look great all the way to frost. Rabbits may not like bee balm, but hummingbirds sure do! This easy-growing plant produces lots of pink, red, violet, or white flowers from summer to early fall. The flowers are long lasting and great for cutting. 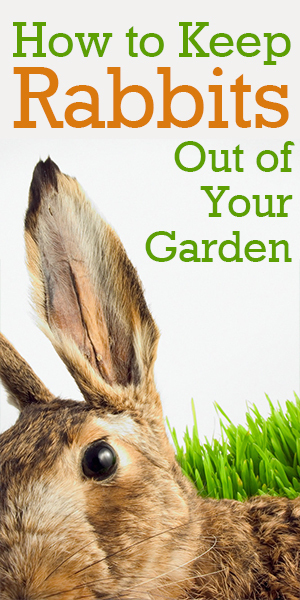 While many spring bulbs are rabbit magnets, the pesky critters avoid daffodils. These bulbs bloom in shades of red, orange, yellow, white, and pink and offer a variety of flower shapes. Daffodils are also long-lived garden plants. One of the hardiest garden plants, daylilies bloom in a rainbow of shades and can take all but the toughest conditions. Grow them in full sun and enjoy their easy-growing beauty. Fritillarias are underused spring bulbs. These interesting bulbs offer a wide variety of flower colors, forms, and sizes. Among the best known are crown imperials (shown), which grow 3 feet tall and are one of the most flamboyant plants in the spring garden. A nearly indestructible shade-garden plant, hellebores bloom in late winter or early spring and produce black, red, pink, white, cream, or green flowers. In many climates, the plants are semi-evergreen. Iris are great, not only for their rabbit resistance, but also for their gorgeous frilly flowers (that are great for cutting) and for their sweet scent. Plus, the flowers appear in almost every color of the rainbow. Reblooming iris offer the extra advantage of blooming again in fall. There are a whole host of salvias great for the garden and almost all are nicely rabbit resistant. The blooms range from bright red to shades of purple and blue. Most make great cut flowers, too. Siberian iris is our favorite of the iris tribe. It blooms a little later than the tall bearded types and features wonderful grassy foliage with elegant blue, purple, rose, or white blooms. The flowers, like most iris, are great for cutting and the plant has especially nice form even when it’s not in bloom. Lovely yarrow is not just rabbit resistant, it’s also a hardy, drought-resistant perennial. This rugged plant blooms through the summer in shades of yellow, pink, red, and white. The long-lasting blooms are beautiful in the vase and in the garden. 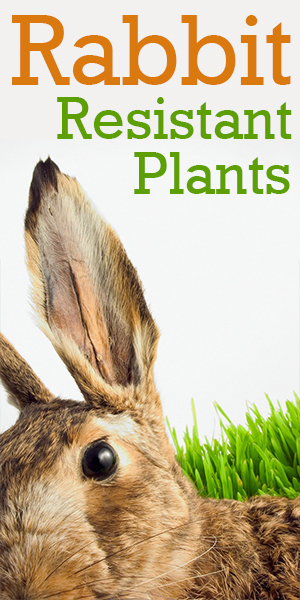 I’m sorry , I just read your plants that you can grow and that rabbits won’t bottler with them . Well I hate to tell you but they ate my bee balm and the ate my yallowers. I just planted them. I hoping they didn’t kill them so I put cages around them at this time. So what’s up with that?